The PC Gaming hardware market has grown to over $21.5 billion dollars, which is over double the value of the console market. The growth comes not from casual users, but from PC gamers who are buying more expensive high-end hardware. The report comes from analyst company Jon Peddie Research (JPR), where senior gaming analyst Ted Pollak explained the growth. “We continue to see a shift in casual console customers moving to mobile,” stated Pollak. 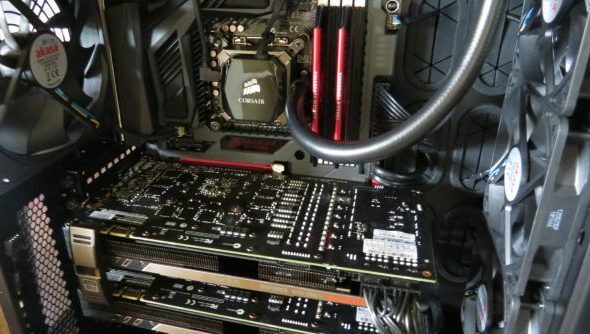 “While this is also occurring in the lower-end PC gaming world, more money is being directed to mid- and high-range builds and upgrades by gamers. It’s not showing any signs of slowing down either: they predict that in three years time the market will be worth over $23 billion dollars. Jon Peddie, president of JPR expressed his doubts that the console market could ever catch up. “Nvidia, Intel and AMD have enthusiast CPU and GPUs that are so powerful that, when combined with SSDs and fast memory, they absolutely trounce the computing power and gaming capabilities of the newest console generation,” he explained.